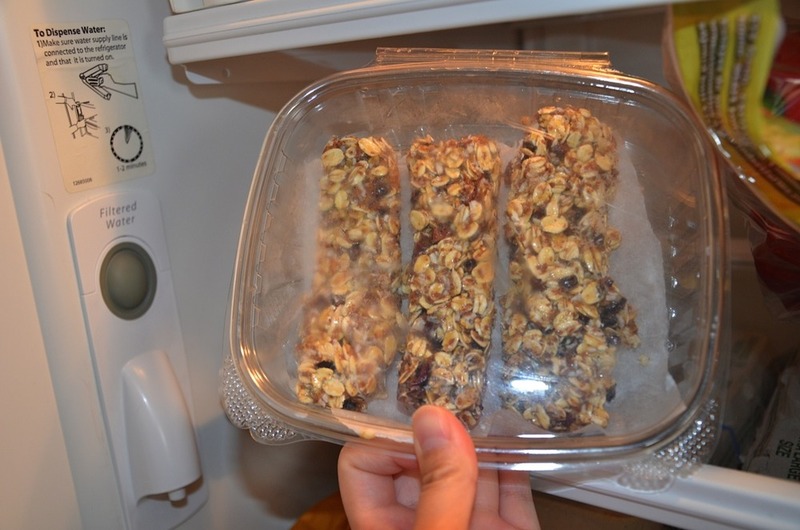 While reading some food blogs I came across a great granola bar recipe that didn’t involve peanut butter as a binder (make the granola sticky). 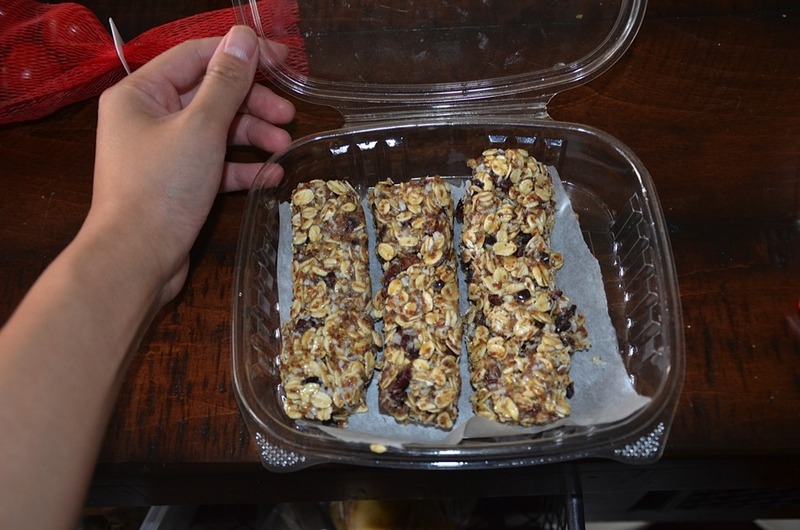 I’ve made granola bars in the past and just got plain sick of peanut butter in everything. This recipe uses sweetened condensed milk as the sticky binder. 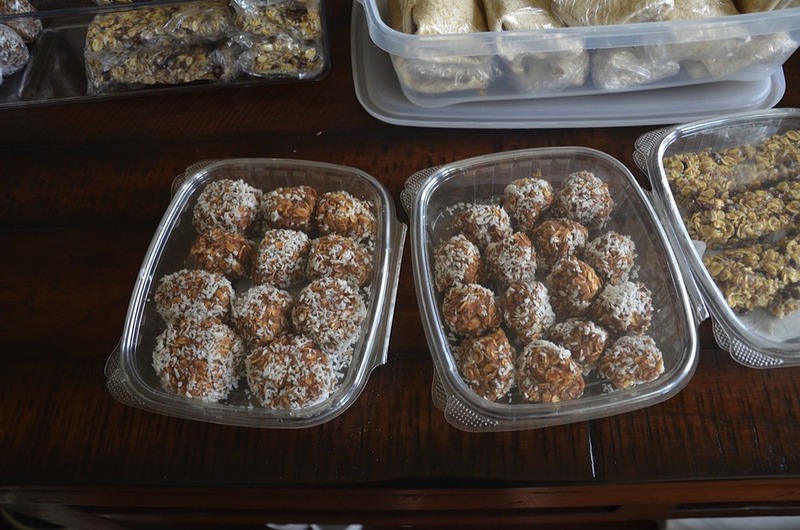 To offset the obvious sweetness I used cocoa nibs, flax seeds, chia seeds, wheat germ and unsweetened coconut flakes along with rolled oats. You can either bake it or leave it raw by freezing it for 15 minutes before cutting them up. 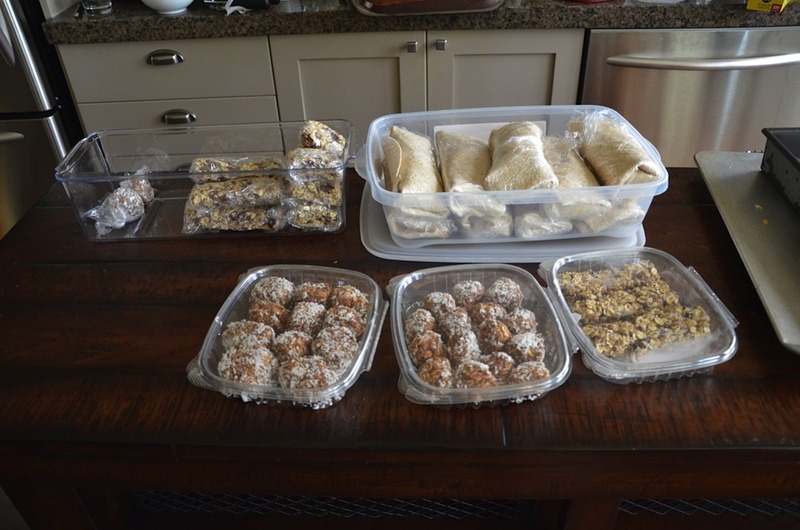 I leave them individually wrapped in the fridge or freezer and they keep for a good month. 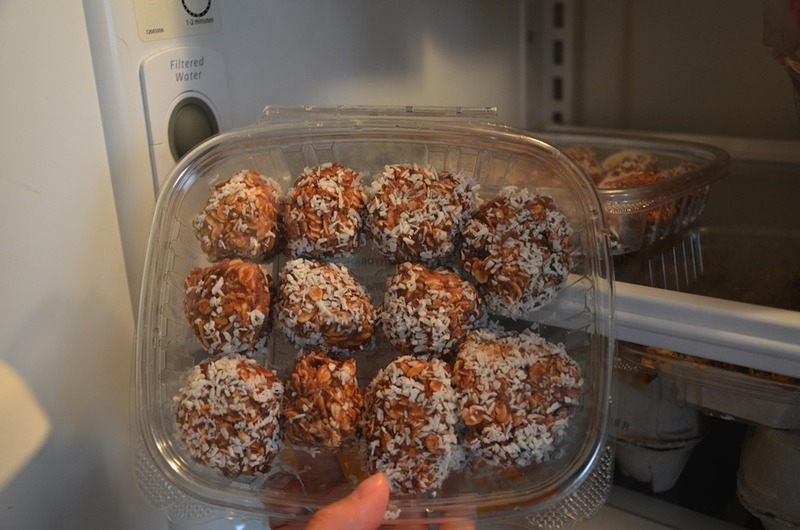 You can also turn it into a protein bar by adding a scoop of your protein powder! The possibilites are endless. 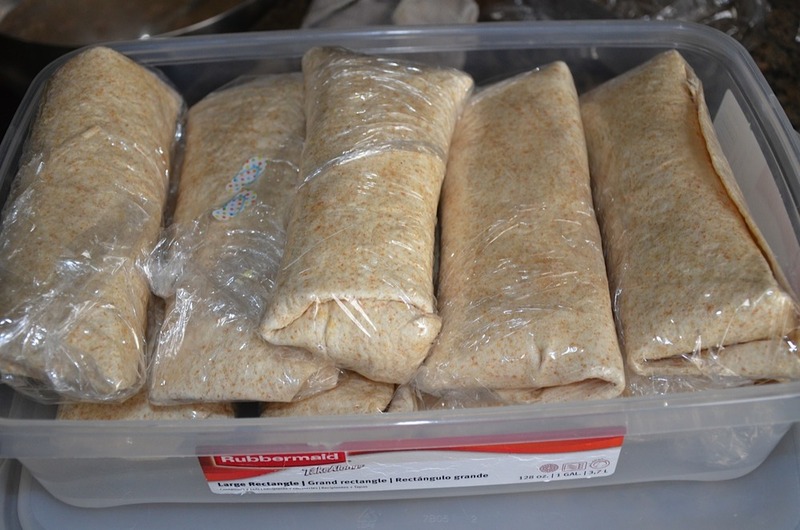 I also found a great idea to make ahead breakfast wraps from this site: http://www.food.com/recipe/breakfast-burritos-once-a-month-cooking-30165 . It’s ‘Once a Month Cooking’ and right up my alley. The burritos freeze beautifully and are so customizable. 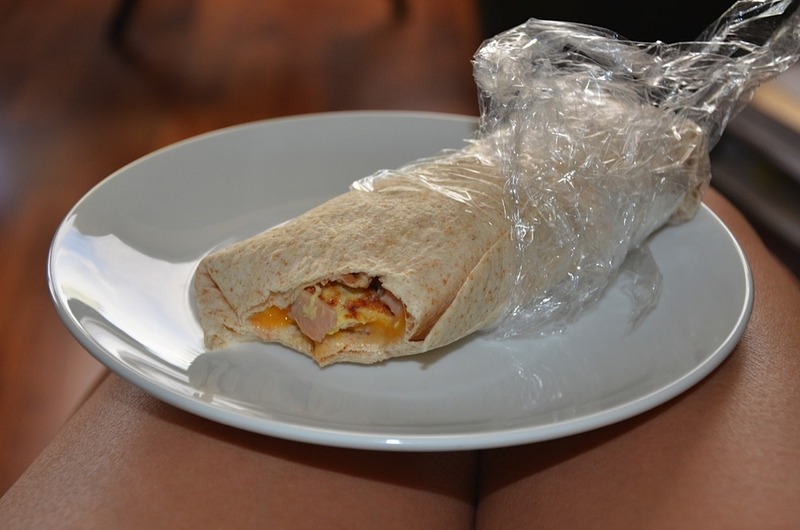 I am going to make some lunch wraps soon after I get through my breakfast wraps. The number of ingredients you can use is totally up to your imagination: scrambled tofu, beans, peppers, salsa and even ground breakfast sausage. 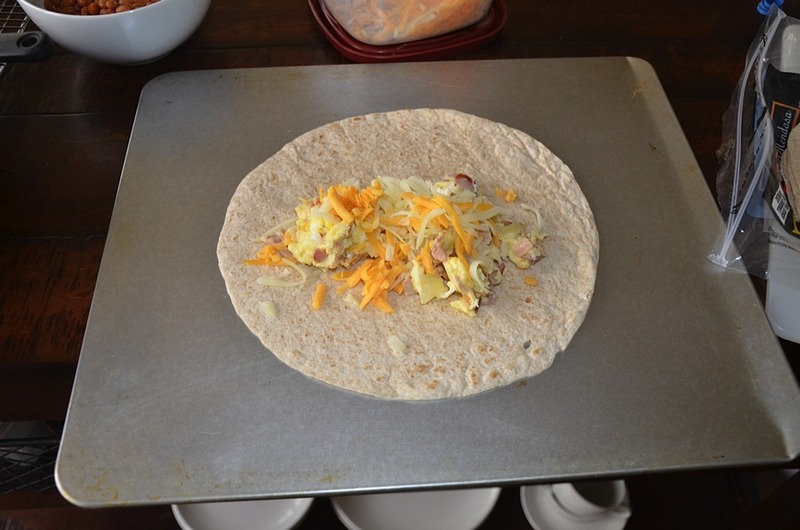 This iteration was a plain old ham, egg, cheese and bean wrap. I made 10 and wrapped them individually. I froze half and had one each morning to work. You can either reheat them in the microwave or toaster oven from the fridge. Microwave in a paper towel if it’s coming from the freezer. 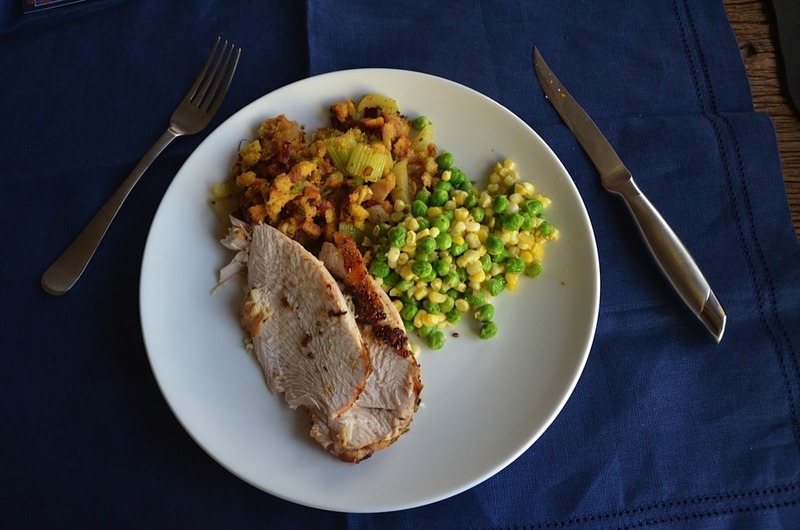 Oh and this is what was for dinner last week and tonight… Roast turkey breast with fresh corn and shucked peas (shucked by Ryan with a few escapees to the dog). Whole foods has these beautiful turkey breasts that serve 5-6. Leftover turkey wraps maybe?